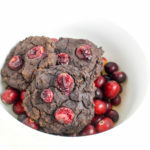 Cranberry chocolate cookies - paleo & vegan - NOURISH TO PERFORM. Welcome back to cookie season! Christmas isn’t that far away anymore and with that it is time to start baking cookies again. I decided to not start with a traditional cookie recipe but with cookies that are using seasonal products aka cranberries. This is the first time in my life, I have ever had cranberries and I am addicted now. 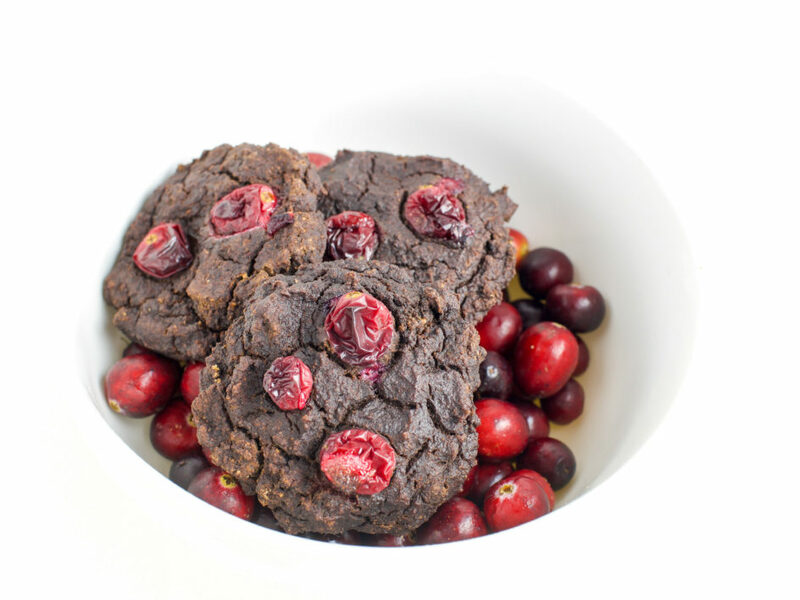 Stay tuned for two more amazing recipe using cranberries coming your way! But let’s talk cookies now. This recipe can be adjusted according to your diet. For paleo folks: use a whole egg or almond butter* for a fattier version and use egg whites for a lower calorie and high protein version. For the vegan folks out there, almond butter or any other nut butter is a great option. Also, if you are allergic to nuts, you can use ground chufa (tigernut) instead of almond flour. As a sweetener I either use 100% pure raw stevia powder or yacon syrup *. Mix all ingredients except cranberries in a bowl./Alle Zutaten außer den Cranberrys vermischen. Place one tablespoon cookie dough onto a baking tin and press flat and put some cranberries on top. Make cookies until no dough is left./Einen EL Keksteig auf ein Backblech geben und flach drücken und Cranberries darauf geben. So den ganzen Teig zu Keksen verarbeiten. Put the cookies into the oven for about 15 minutes./Die Kekse für etwa 15 Minuten backen.